PARIS — The first wind data captured by the European Space Agency’s Aeolus wind sensor show the sensor is working as designed, a huge relief for program managers who struggled for more than a decade with the complex technology. “The instrument, which was causing us all this headache, is working properly,” Josef Aschbacher, ESA’s director of Earth observation programs, said Sept. 13 at the World Satellite Business Week conference here. ESA launched the 1,360-kilogram Aeolus Aug. 22 on Europe’s Vega rocket from Kourou, French Guiana. 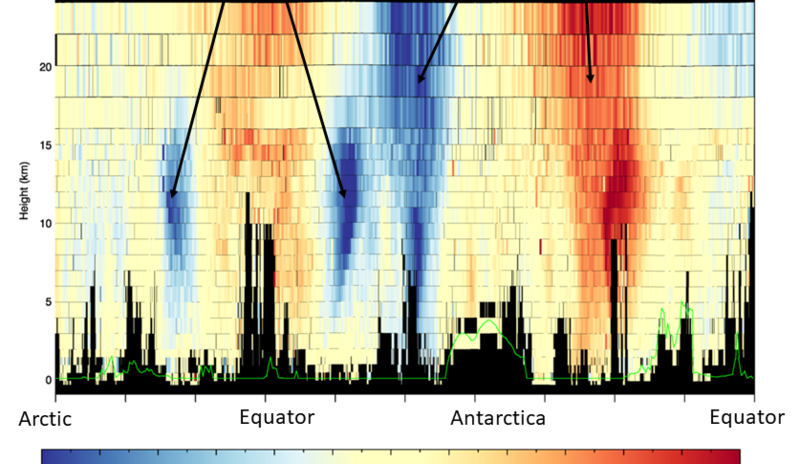 On Sept. 12, ESA released the first data on global winds captured by the satellite’s lidar instrument, which pairs a laser and large telescope with a sensitive receiver. Aeolus laser emits 50 pulses per second of ultraviolet light through the atmosphere and measures how those signals are scattered by air molecules, dust particles and water droplets to create vertical profiles of global winds. ESA plans to spend several months calibrating and validating Aeolus’ performance with the help of partners around the world. ESA initiated the Aeolus program in 1999 and originally intended to launch it 2007. “We had huge delays in launching this satellite because we encountered massive problems,” Aschbacher said, lauding program managers and industrial partners for persevering. Mike Hardesty, senior research scientist at the Cooperative Institute for Research In Environmental Sciences, concurred. “They’ve had a lot of challenges,” said Hardesty, who represents the United States on the Aeolus mission advisory group. “I’m quite impressed with the way they’ve met them.” CIRES is a partnership of the National Oceanic and Atmospheric Administration and the University of Colorado, Boulder. To date, meteorologists have calculated atmospheric winds by tracking cloud features like cloud edges and tracking their movement over time. That method produces no information on cloud-free areas or on winds throughout vertical wind columns, which Aeolus promises.